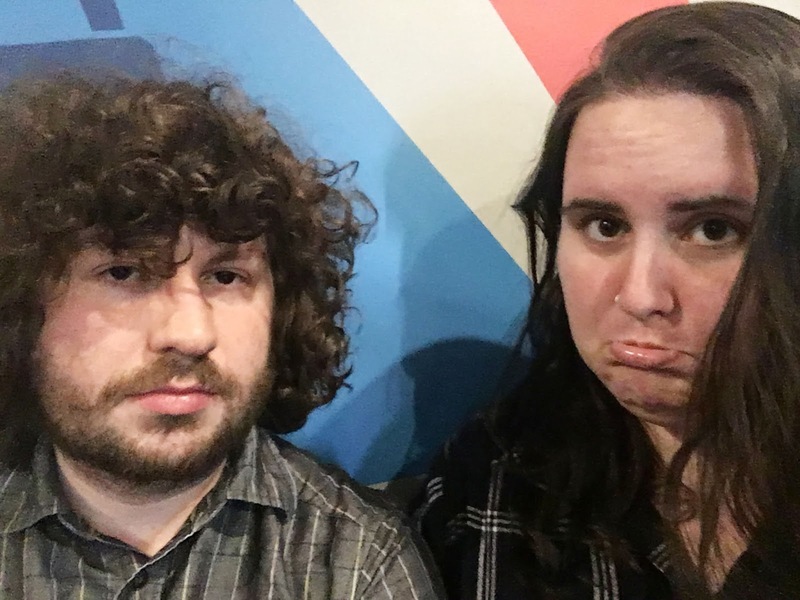 Dave and I are no strangers to escape rooms. 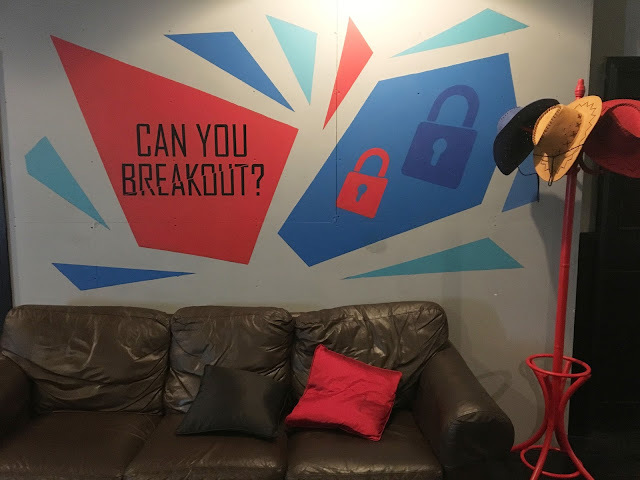 I wouldn't say we're seasoned experts because our success rate is a solid 50%, but we do love a good escape room. We arrived a little bit beforehand, a few cocktails down as we were celebrating Dave's birthday, but prepped and ready to go. 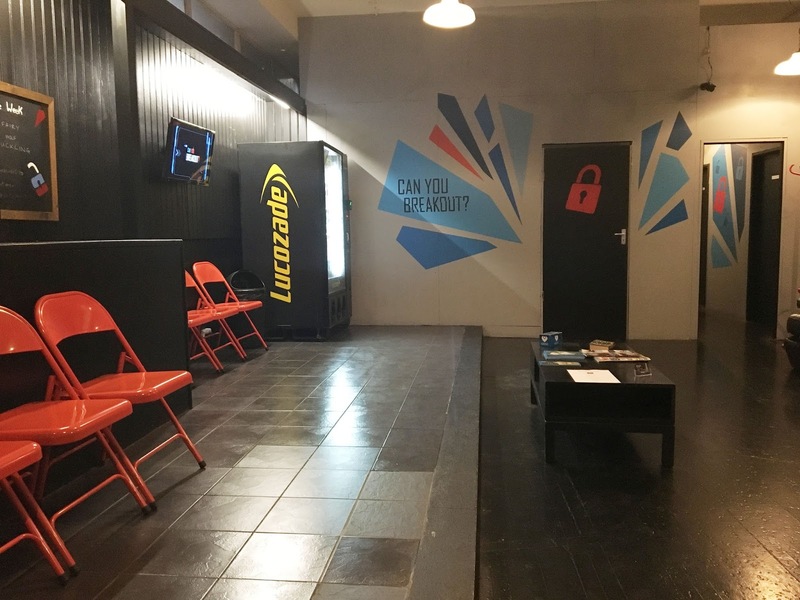 In case you aren't too familiar with escape rooms, let me bring you up to speed. You're locked in a room for 60 minutes, and you have to solve puzzles to figure out how to escape. Simple, right? Each room tends to have it's own theme, and varying puzzles. 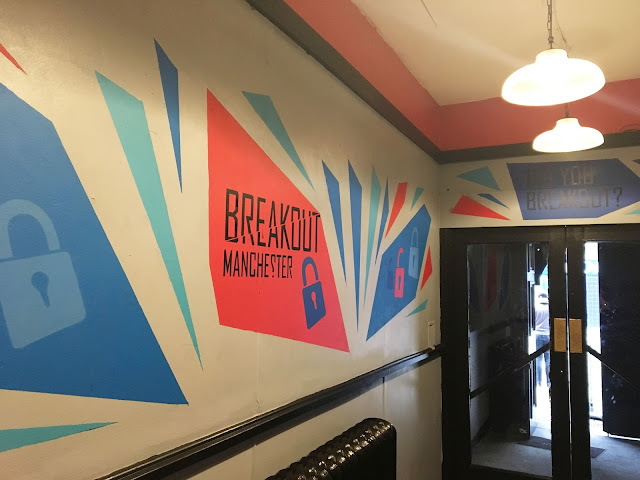 Breakout Manchester is just one of many different companies that run these types of games, but they're definitely my favourite and a company that I'll always keep going back to. 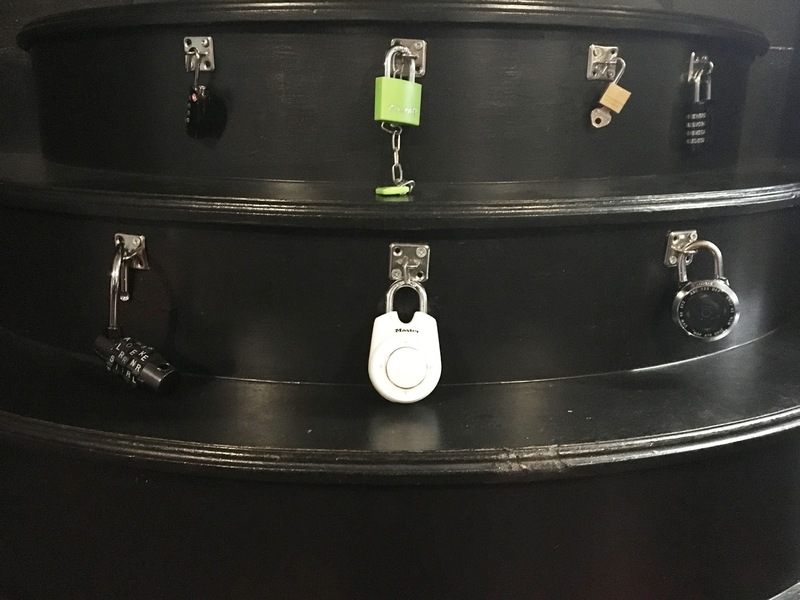 In the waiting room, you're surrounded by different puzzles to warm your brain up, and they even have a little section with the different types of locks they have in each room. Some of the locks are a little unusual, so I'd definitely recommend having a look at these before heading into your room. Our game operator (and manager) Dave, briefed us on Forsaken before taking us down. He explained that Forsaken is proving to be one of the more difficult rooms, and only three teams out of 11 have broken out so far - and they're all staff! Considering this was proving to be a five-star difficulty from previous test games, Dave and I were so obviously hyped to go in and fail. Dave led us downstairs, through a maze of hallways and to our room. He blindfolded us and told us not to take them off until we could hear the music playing. Obviously, I'm not going to spoil the game for you and tell you how to get yourself out of that cabin, but I will tell you that it was FREAKING AMAZING. 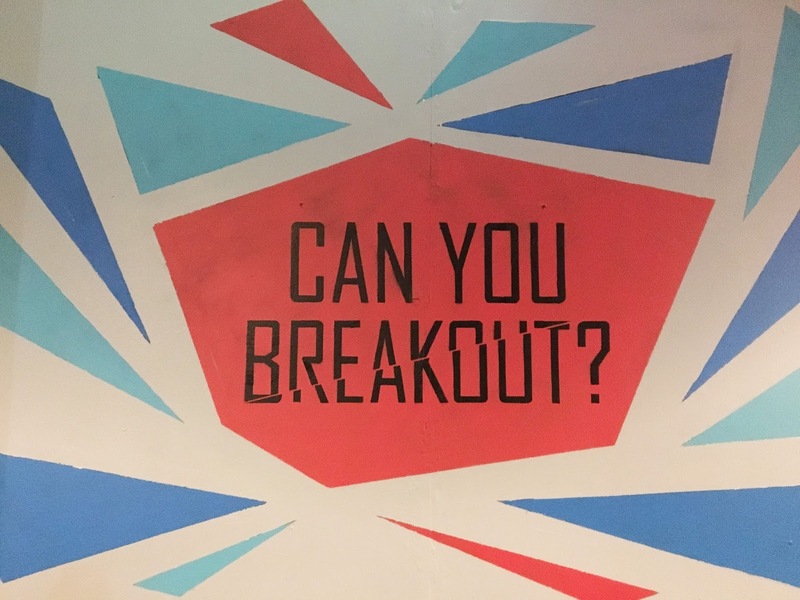 Having done at least ten other escape rooms, I was surprised to come across puzzles that were nothing like anything I'd seen before. The room is genuinely unsettling at times but is my favourite out of the rooms I've taken part in so far. We broke out with an amazing one second to spare! 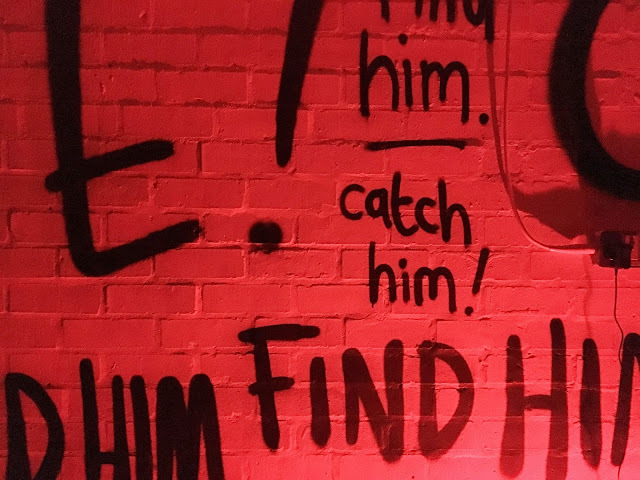 If you're considering booking in for Forsaken, I'd highly recommend it, but I would suggest you consider a couple of things before you do so. There's a lot of Satanic imagery and references (including a version of a Ouija board), so if that makes you uncomfortable, then this is not the room for you. It is down a flight of stairs, and you could also do with being in good physical condition as there are some parts that involve a few bits of tricky movement. Forsaken is available to book from 19th May onwards, so get a wiggle on! If Forsaken doesn't sound like your cup of tea, there are a number of other options available, including Reclassified, where you step into the shoes of a spy in his final exam! Check out all the rooms available here and make sure you get yourself booked in soon! If you liked this, you'll love My Favourite Escape Rooms.